It coulda been worse. That's the "working epitaph" of 15-year-old Moon Landing. Not that Moon's death is imminent--far from it--but his thoughts have turned to gallows humor, as his world disintegrates along with his parents' marriage. His older brother skateboards through life with ease, but Moon is deeply troubled. 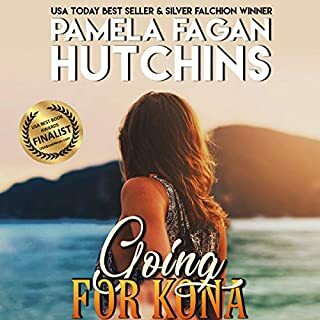 Just as he is solving for romantic unknowns with a gorgeous older girl, Moon must contend with his dad's sudden absence, his mom-gone-wild's sexcapades, and his best friends' curious penchant for self-destruction. Not to mention his newfound role in agitating to end an African guerrilla's bloody rampage. 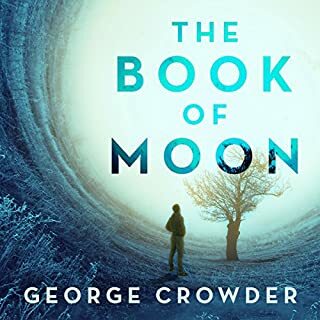 To make sense of it all, Moon embarks on a quest to unravel the riddle of God's injustice to man. Very much enjoyed this audio version. This book was a real treat to listen to. A very interesting story that lead in unexpected directions, all the while making me question my personal beliefs (without hammering me with an alternate viewpoint) and pointing out many absurdities in modern commercial religions. The principal characters were witty, insightful and often hilarious, making me wish I had friends like these back in highschool. The book left me with many thoughtful questions, but mostly wanting more! It's one of those books that you don't want to end and your find yourself thinking about what was going to happen next on their journey of discovery and wonderment. 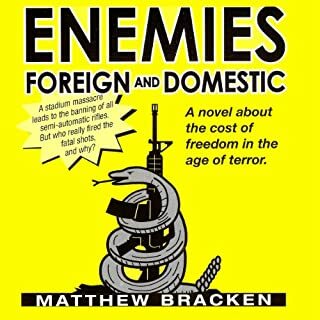 What disappointed you about Enemies Foreign and Domestic? Would you ever listen to anything by Matthew Bracken again? Guys beware! Bodice ripping drivel. 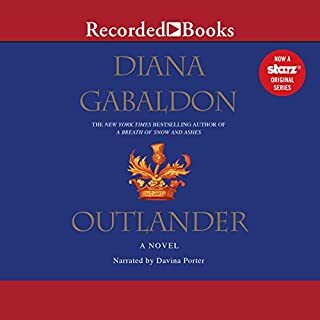 Would you try another book from Diana Gabaldon and/or Davina Porter? Although Davina Porters reading was excellent, I just couldn't get past part 2 of this silly book. The Celtic history mythology was pure 4th grade Cliff Notes and the story was..... well I can't say cause it didn't engage me enough to finish it. I had just finished the Excellent Pandora's Moon and needed something lighter, but this was pure fluff. He was born to greatness, the son of a Druid bard and a princess of lost Atlantis. A trained warrior, blessed with the gifts of prophecy and song, he grew to manhood in a Britain abandoned by its Roman conquerors. He was to have a higher destiny: to prepare the way for the momentous event that would unite the Island of the Mighty - the coming of Arthur Pendragon, Lord of the Kingdom of Summer. 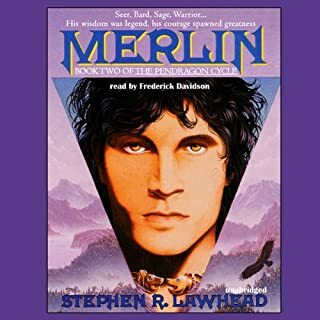 This is the second book of The Pendragon Cycle. Bla, bla, bla, Yak, Yak, Yak! What a boring book. I read the first in the series and liked it so I was eager for part 2 but this one falls flat on it's face. the (new) narrator on this one is awful, pompous and oh so melodramatic (his womens voices are all so high and whiny). If you want to listen to a truly fantastic (adult) sword and sorcery epic check out "The song of Ice and Fire" series by Robert R. R. Martin which is incredibly great (the first 2 are avaliable now with 4 more coming).